To ensure that the respective workforce’s training, qualifications, emergency response of critical marine, work practices and emergency support equipment is fully compliant with company and industry standards. A critical factor in realizing reliable safety and operational excellence. Safety & compliance surveys represent one of the most important elements in the implementation of an effective occupational health and safety program. This requires experiences Inspectors to conduct regular work area safety inspections, to record detailed information about all of your safety observations. Linking these observations to non-conformance reports and corrective and preventive actions to identify and prevent potential hazards through recording and trending observations across offshore job sites and geographical regions. 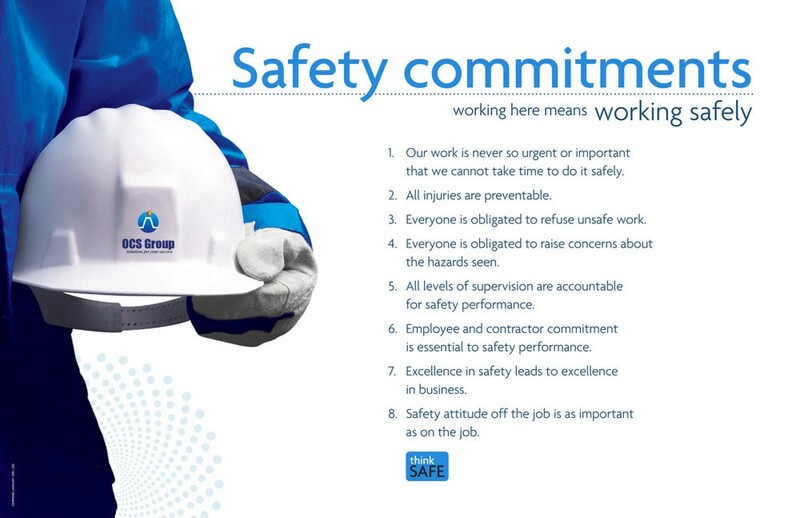 The cornerstone of good safety management compliance is commitment from all. In matters of safety and pollution prevention it is the commitment, competence, attitudes and motivation of individuals at all levels that determines the end result. OCS provides comprehensive risk assessment inspections of all aspects of offshore operations and compliance to international standards. OCS have developed software tools to support operational management of safety and environmental issues and can also provide through-life-cycle marine safety, environmental management and risk assessment. Safety and quality programs adopted by the Oil & Gas industry have become increasingly sophisticated, the marine & safety management system codes therefore ensure that each and every offshore installation complies with the mandatory safety rules and regulation and follows the codes, guidelines and standards recommended by the IMO, classification societies, and concerned maritime organizations. In recent years however, the prevention of accidents and environmental damage still depends largely on the ability of the vessels crew to respond promptly and professionally in a crisis situation. For more information on OCS Group, please contact us.